Underlined and marked with pencil ( more or less like in the pic). 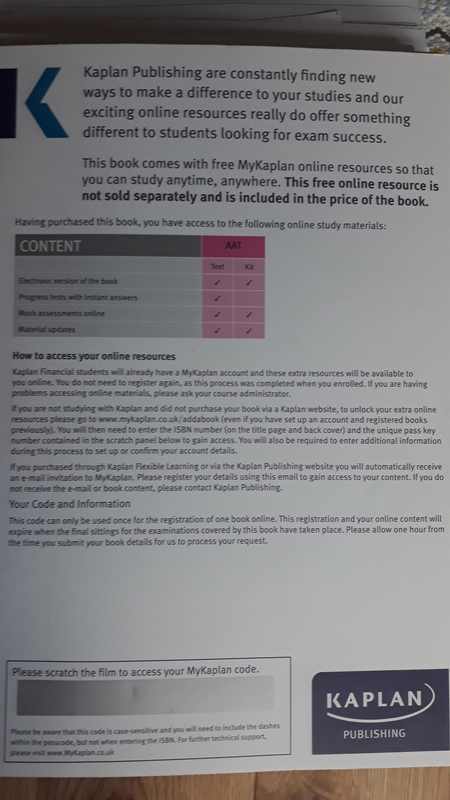 Last edition 2018/2019 by Kaplan. For sale at £10 each or to £85 if you buy them all together. 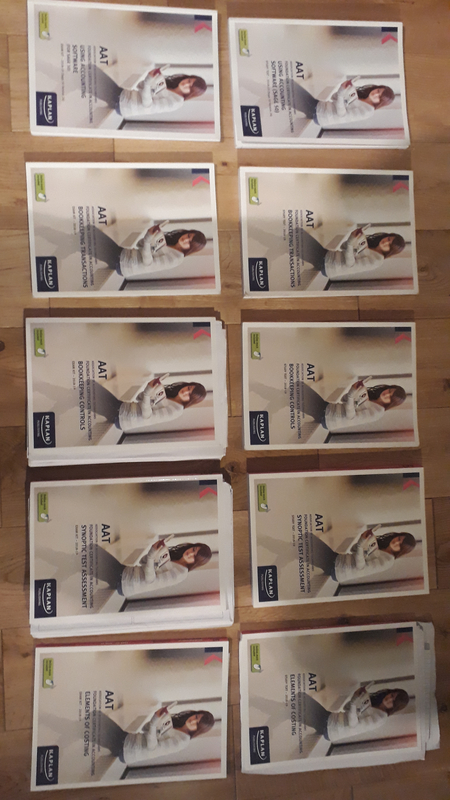 I started studying AAT Level 2. I booked my first exam in May (UACS - Sage 50). I am looking for books. Are yours still available? Are these the most updated ones? Yes these are still available. As far as I know these are the latest versions (SAGE 50 Version 24). 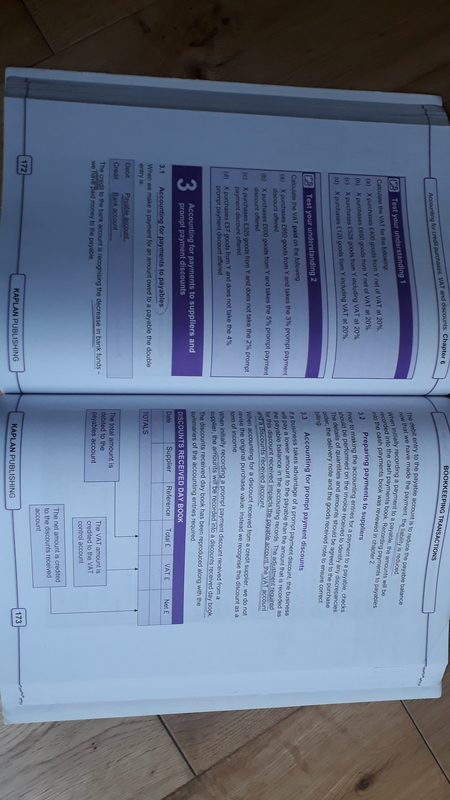 To make sure you should ask your provider which versions for your exam are needed because I took the exams in December 2018. I must say that when I downloaded the software at home from SAGE, it was a different layout from what used in college. Sorry, these books have been sold. They are no longer available. I do still have 2 books by SAGE 50 Version 24.